For years, you’ve counted on Castle Rock Bike & Ski to be your go-to place for ski and snowboard rentals. Well, we are now offering bicycle rentals as one of our premiere services. Did you know the Town of Castle Rock has 41 miles of soft-surface and 32 miles of paved trails? We are lucky to have one of the most extensive trail networks of any town on the Front Range. Every trail is a blast and you’ll want to ride every one of them. Do you want to try mountain biking but don’t have your own bike? Do you have friends visiting that want to ride but didn’t bring their bikes with them? Are you participating in a race or triathalon in another city and are taking your bike with you? 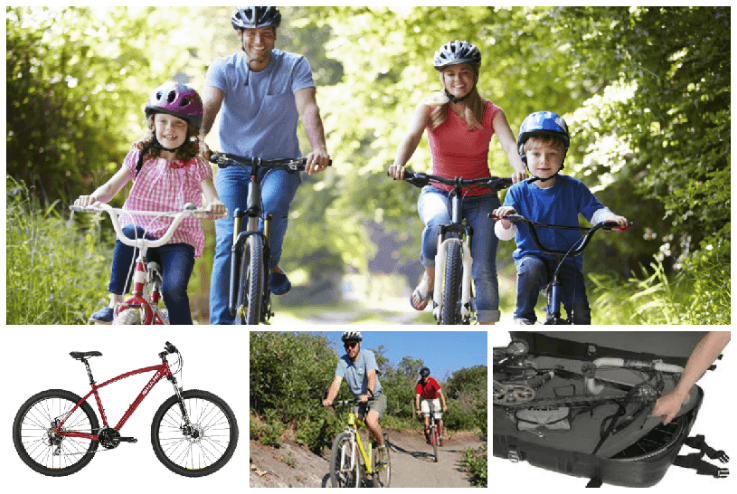 Prices start at $30/day for a hard tail, 27.5″ wheel mountain bike. Our hardcover traveling case is $15/day. Multi-day discount rates are also available. Love the bike you ride and want one of your own? We’ll apply the rental to the cost of the bike. 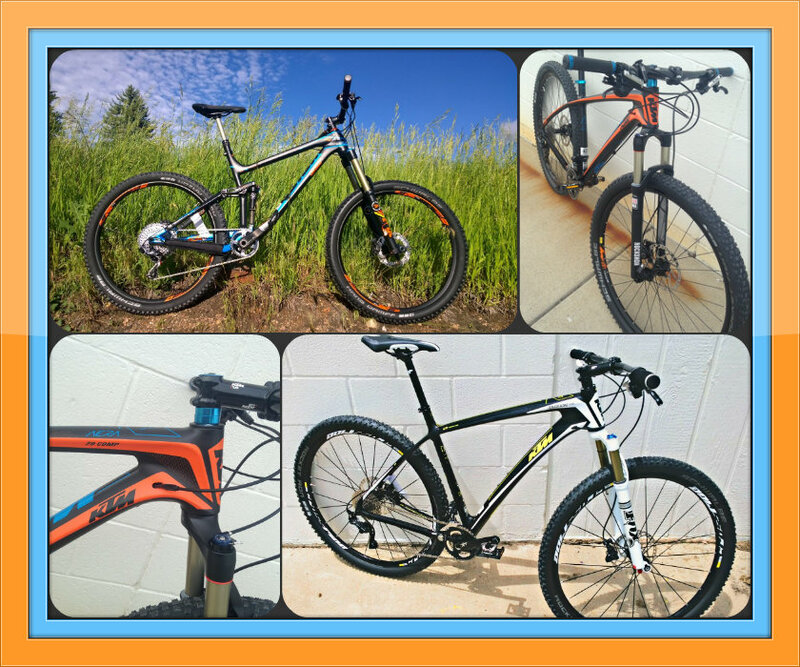 Give us a buzz at 303-688-1722 for more details or to reserve your bike today! 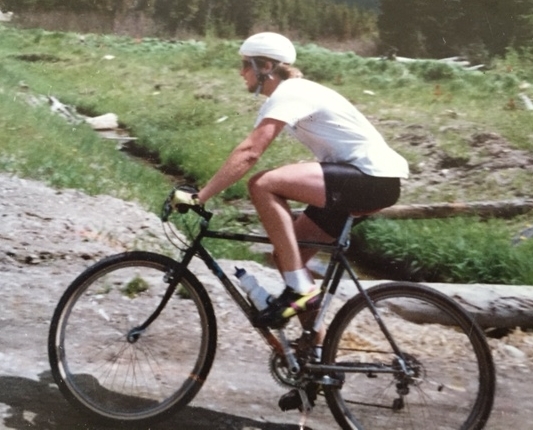 As Castle Rock’s Ridgeline Open Space plays host to the first Rocky Mountain Endurance Series race of the season on Saturday, April 25, I am reminded of my time racing in the saddle. My first mountain bike race was in 1986 when I was living in Tacoma, Wash. I moved to Colorado in 1988 with the intention of taking my mountain biking skills to the next level. My first Colorado MTB race was the 1989 Ironhorse Classic in Durango. I remember it being a fun and challenging course and unfortunately, doesn’t exist today because it’s now full of houses. I was nervous, excited and thrilled to be doing something I loved. I was surprised and pleased to see the course filled with cheering crowds. Cowbells filled the air. I didn’t podium. I did finish respectably. I signed up for just about every race in the state. KC and I would pack up our car and head out to find a camping site after work almost every Friday. More times than not we were pitching a tent in the dead of night. We got so good at setting up camp in the dark that when we had to do it in the daylight, it didn’t always go as smoothly. We’d get up at the crack of dawn to get to the race site. Registration lines were usually quick but long enough to strike up a conversation with the guy in front of or behind me. These were the days when mountain biking heroes like Ned Overend, Greg Herbold, John Tomac, Dave Weins, Tinko Juarez, Julie Furtado, Allison Dunlap were racing alongside the likes of me and my band of merry bike shop employee friends. Make no mistake, they were all very serious about their racing but most of them were also quick to share a joke, a laugh, some constructive advice and a beer or two. All the racers were generally polite. We all wanted to win, but for the most part people were nice about passing and working together when it was beneficial. Cursing was rare. Schwag was nominal and no one cared. I am thrilled to see Castle Rock attracting more mountain biking races to our stellar network of trails. This weekend, they’ll be clogged with bikes and folks who love to ride them. If you are racing, good luck! If you aren’t racing, take the time to go watch and absorb the festivities. Mountain bike races are exciting and the vibe is always fun. If you are racing and need your bike tuned up, bring it by Castle Rock Bike & Ski today and we’ll have it back to you by Friday. For more information, give us a call at 303-688-1722. PS – Yep, that is me riding a fully rigid Giant ATX760 with toe clips and a Bell Viva One Pro helmet – high tech, state-of-the-art for sure. I’m also rocking it in spandex and a cotton t-shirt.